It is our goal to provide opportunities for couples to learn together, laugh together and grow closer to each other and God. We believe that marriage is the oldest and most sacred institute that God has given us. Here at Trinity Life Center, we want to equip the men and women with the tools to become the spouses God created us to be. We teach you how to romance, encourage, and strengthen one another, to become one as you serve the Lord and serve one another. For your family to be healthy you first need to care for the health of your marriage. Help is Here – Don’t Hesitate to Call! If you are going through marital struggles or having a difficult time in your family, and would like some help, please don’t hesitate to call Pastor Vic or Sara. They are available 24/7 to help and minister to you. They can meet with you in the evenings or on the weekends. Don’t be ashamed; if you need help, get it! Here are just some of the Family Life activities and events we have throughout the year! 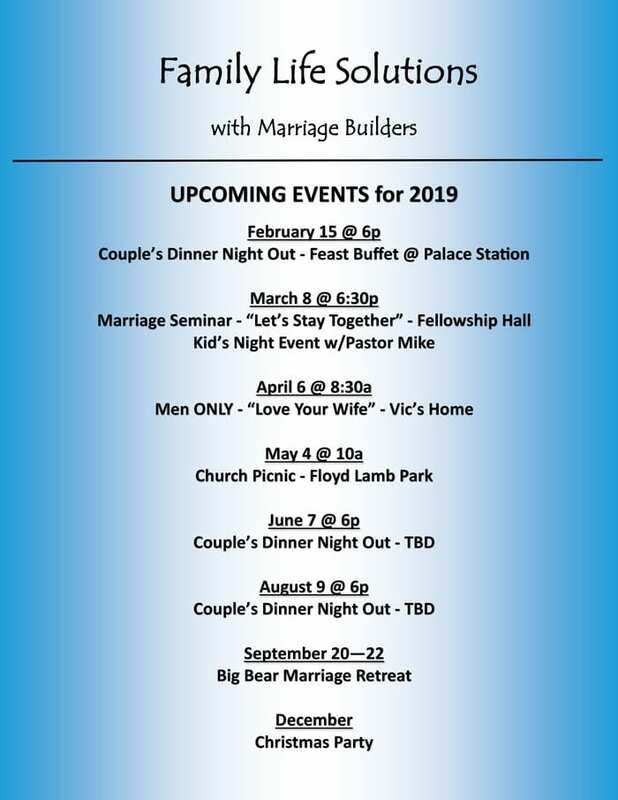 Block Party, Family Camp, Marriage Seminars, National and Local Hikes and picnics, Family Food Drive, Toy Drive, Christmas Breakfast, Valentines Banquet, Marriage Retreat Cruises, 4th Of July Picnic, Mi-Amigo Getaway, Marriage Retreats/Seminars, and much more! For more information contact Pastor Vic or call the church office at 702-734-2223. Pastor Vic Caruso is the Senior Associate Pastor here at Trinity Life Center. He has been on staff since 1985. 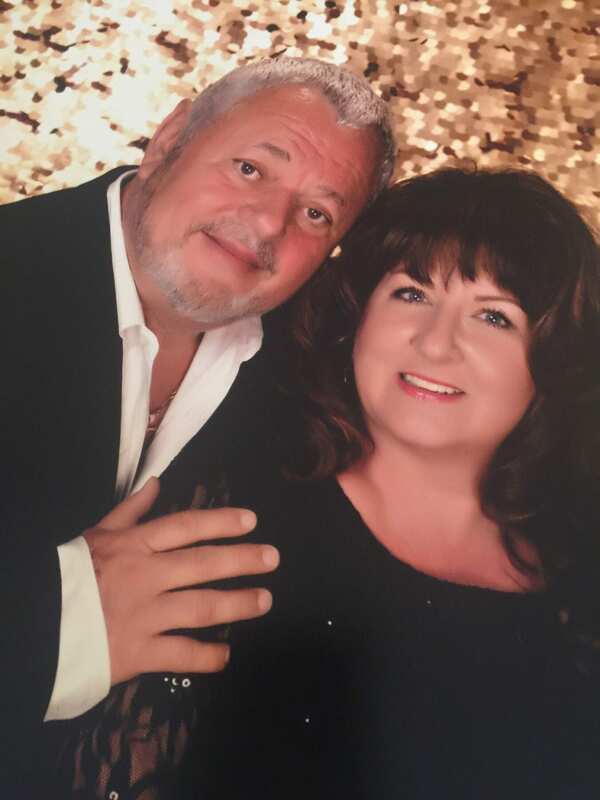 Pastor Vic was saved from the Las Vegas’ lifestyle while working as a Bellman for many years. He considers his call to Las Vegas a lifetime call. Pastor Vic has two passions. The first is to preach the gospel. The second is to serve. He also oversees many areas including special events, advertising, and PR. He oversees the Pastoral Staff, ministry leaders, and support groups. Sara Caruso is part of our visitation team for hospital visits, counseling, and Women’s Wednesday Night teachings. 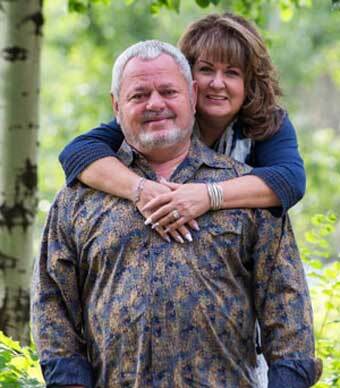 Pastor Vic and his wife Sara, have been married since 1974. 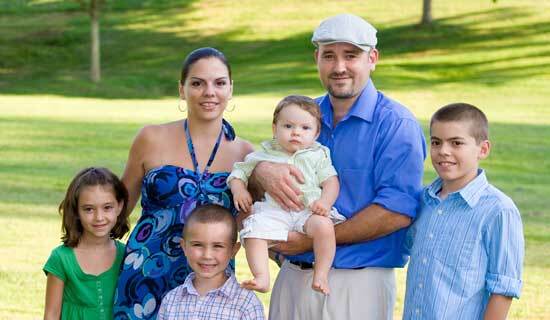 They have four wonderful children, Gina, Vic jr., Carl, and Sammy. Also, they currently have 8 grandchildren. We are accountable for their well-being; we believe that the life we live, the way we live, and the way we love our mate will reflect and ultimately determine the kind of spouse that our children will one day become to be. OVER 50% OF ALL MARRIAGES END IN DIVORCE (Christian or not).